Only five still guard the borders between the worlds. Only five hold back what waits on the other side. Once the Oversight, the secret society that policed the lines between the mundane and the magic, counted hundreds of brave souls among its members. Now their numbers can be counted on a single hand. When a vagabond brings a screaming girl to the Oversight’s London headquarters, it seems their hopes for a new recruit will be fulfilled – but the girl is a trap. This dark Dickensian fantasy from Charlie Fletcher (the Stoneheart trilogy) spins a tale of witch-hunters, supra-naturalists, mirror-walkers and magicians. Meet the Oversight, and remember: when they fall, so do we all. 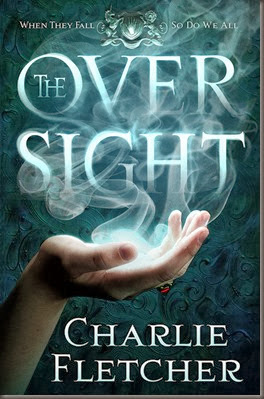 The Oversight by Charlie Fletcher is due to be published by Orbit UK and US, in May 2014. You can read a sample of the novel over on io9.com.